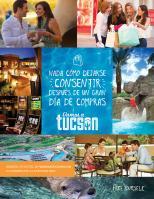 Reach Tucson's visitor/tourist market using Certified's brochure distribution and display service. Display sites include hotels, motels, car rental offices, RV parks and visitor centers. Other location: Regional office: 4028 E. Broadway, Ste. 606 (Phoenix), 602-437-4776, FAX 602-437-5019.